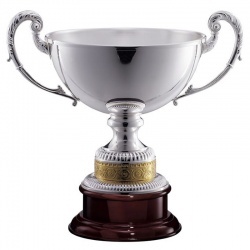 When only the very best will do, turn to Uppermost for this choice selection of unique and exceptionally fine quality trophies and awards. Many of the silver plated trophies shown here are available in either a plain or handchased finish, a method of decoration applied by craftsmen using traditional techniques. 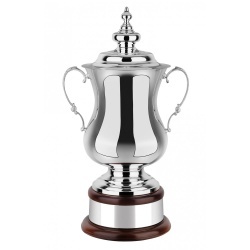 Our collection also includes sterling silver trophies and highly distinctive awards, suitable to recognise the very highest levels of performance and achievement including as professional sports trophies. Handchased Trophy Bowl. Wavy Edge. Wood Base with Plinthband. 12.25in tall. 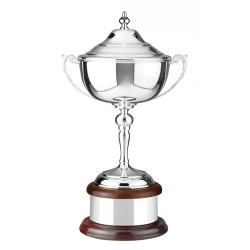 Silver Trophy on Mahogany Base with Lid & Plinthband. 10.75in tall. 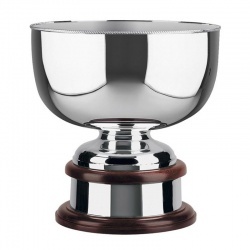 Trophy Bowl with Wavy Edge on Wood Base with Plinthband. 12.25in dia. 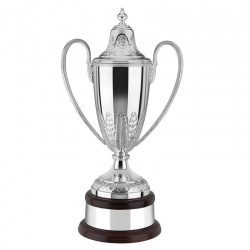 Silver Trophy on Mahogany Base with Lid & Plinthband. 14.25in tall. 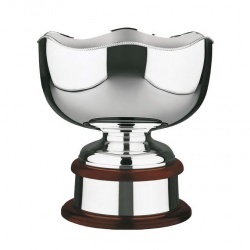 Silver Trophy on Mahogany Base with Lid & Plinthband. 14.75in tall. Handchased Lidded Trophy with Round Mahogany Plinth. 14in tall. 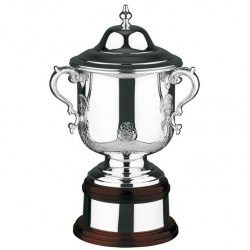 Handchased Lidded Silver Trophy with Single Plinth. 14in tall. Large Silver Trophy with Lid & Plinthband, 15.5in tall. Silver Trophy on Mahogany Base with Lid & Plinthband. 16.75in tall. 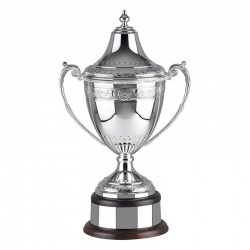 Handchased Trophy. Mahogany Base. Lid & Plinthband. 16.75in tall. Handchased Lidded Trophy with Double Mahogany Plinth. 17in tall. 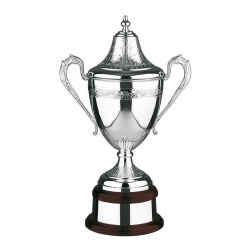 Handchased Lidded Silver Trophy with Double Plinth. 17in tall. Complete with lid, mahogany base and plinthband. 20.5in tall. 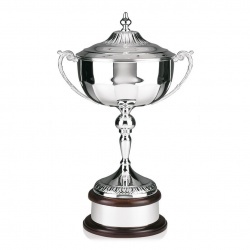 Silver Trophy on Mahogany Base with Lid & Plinthband. 20.5in tall. 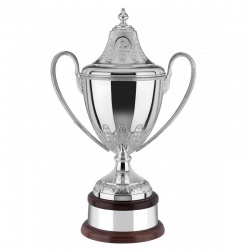 Very Large Silver Trophy with Lid & Plinthband, 21.5in tall. 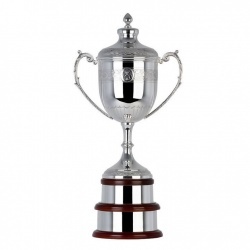 32in Giant Trophy Cup with Gold Plated Detail, Lid & Plinthband. 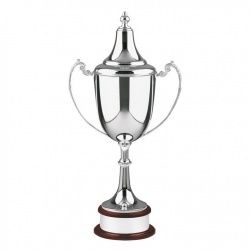 Very Large Silver Trophy with Lid & Plinthband, 32in tall. 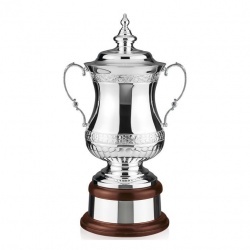 48in Giant Trophy Cup with Gold Plated Detail, Lid & Plinthband. Handchased Trophy Bowl. Wavy Edge. Wood Base with Plinthband. 9.25in tall. 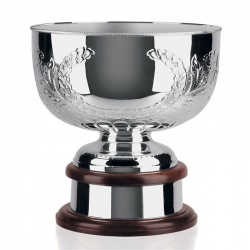 Trophy Bowl with Wavy Edge on Wood Base with Plinthband. 9.25in dia. 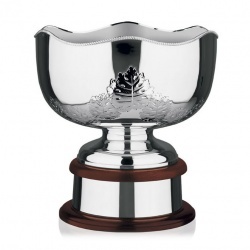 Handchased Trophy. Mahogany Base. Lids & Plinthbands. 3 Sizes. 19in Masters Challenge Cup. Handchased with Lid & Plinthband. 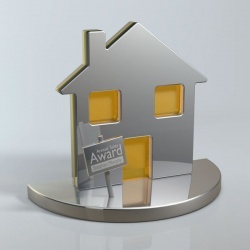 Trophy with Handchased Finish. Lid & Plinthband. 3 Sizes up to 32in. 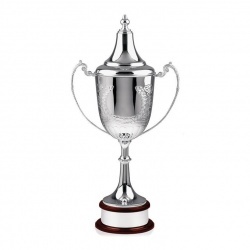 18.25in silver plated 'Heroes Cup' complete with lid & plinthband. 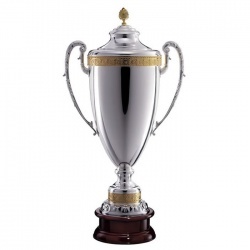 17.75in Trophy with Spiral Handchased Decoration. Plinthband Included. 12.25in Trophy. Flat Gadroon Edge. Mahogany Base with Plinthband. 12.25in Handchased Bowl. Gadroon Edge. Mahogany Base. Plinthband. 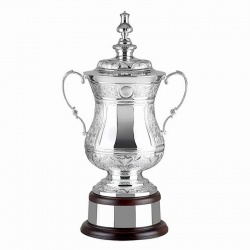 The Ultimate Celtic Cup. 20.5in Tall. Handchased. Lid & Plinthband. 18.25in Handchased 'Heroes Cup' complete with Lid & Plinthband. 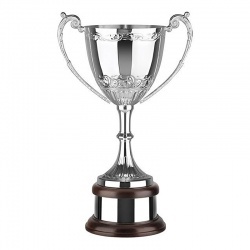 22in Handchased 'Winners Cup' Trophy on Mahogany Base with Lid & Plinthband. 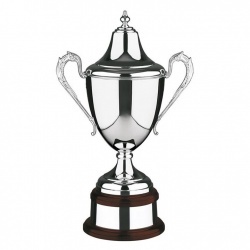 Silver Trophy on Mahogany Base with Lid & Plinthband. 3 Sizes.